Looking for private in-home or in-studio Drum lessons? Our Drum teachers are ready to get you started. Find your teacher today! The average cost of 60-minute drum lessons is $61. While the exact cost will vary depending on the teacher, type of lesson, and your location, you should expect to spend anywhere between $21 and $130 per hour. For the best experience, we typically recommend 60-minute drum lessons. However, students looking for a more affordable option may want to consider a shorter lesson length of 45 or 30 minutes. On average, 45-minute drum lessons are 20% less expensive at $49, and 30-minute lessons cost 40% less at $37. Curious how much drum lessons cost in your area? Do a quick search to get local prices for the best drum teachers . ll modify his teaching strategies to whatever makes you most comfortable and facilitates your learning style. He teaches the basics down to the intricacies of general percussion and will keep you motivated by sharing his adventures and projects with you! Very knowledgeable!" Tampa, FL teacher: Glenn M.
"Excellent drum teacher. Knows exactly my strengh and weakness and apply his teaching skills to right level of learning scale. "I have made significant progress with Matt. He tailors lessons to fit your goals." riorities are to make you fall in love with music-making, and to get you playing the music YOU want to play as soon as possible. His passion for music is as infectious as his smile, and he is a patient, knowledgeable guide into the world of this wonderful art form." San Diego, CA teacher: Andy R.
"I gave these lessons to my husband as a gift and he really enjoyed meeting Evan and is looking forward to learning more from him." "Super prepared and ontime. Awesome!" first hour of the first lesson, David helped our son, then age 12, identify technical issues that were causing him problems and stripped away bad habits that were holding him back. With David's professional guidance in both drums and percussion, our son's progress has been remarkable. In our son's own words: “David is creative with a good sense of humor, which always makes lessons fun.” We cannot recommend him more highly." ppreciate most about Emerson is that he’s interested in helping me reach my goals. I happen to be interested in learning Latin style drums and lucky for me, Latin is one (of many) of Emerson’s specialties. So many people have told me that Latin is hard to learn, but in four short lessons, I already know how to play a basic Bossa Nova beat. Emerson is a very organized and efficient instructor. We work with handouts, video (I record him as he instructs) and reading exercises from a book. A highlight for me in our sessions is when Emerson accompanies my drum playing with another instrument, the piano for example. I really get the feeling like we’re having a little jam session and it's fun because I can hear that I'm making music and that's an awesome feeling. Choose Emerson as your music instructor and you will not be disappointed." Seattle, WA teacher: Emerson W.
learning HOW to play and teaches you WHEN and WHY to play the beats you're learning. Mike's a great drummer and a really fun guy to spend time with, I recommend his lessons!!" Denver, CO teacher: Mike M.
John is our perfect instructor: approachable, positive, encouraging, upbeat, makes my shy child comfortable and motivated. We love him! John has been awesome. My 8 year old son is very excited with his drum classes. John sets a very inviting tone and great environment to learn. Would highly recommend. 23 Years playing experience, 13 years of teaching, stage performance, technique, rudiments, drills, fills, all styles, specializes in rock, funk, hip-hop and R&B. Colin is very friendly and sociable. He taught us how to set up the drum kits on the first day. Relaxed, novel lesson that has kept me thinking. Colin has been an awesome drum teacher for my son! He is very supportive and flexible with my sons abilities. Colin makes the lessons fun and really boosts his confidence. It is easy to tell that Colin has a lot of teaching experience and that he loves to share his musical talents. Athan G has taught drums for eight years, and strives to provide each student with exactly what they need to excel. He has extensive training, both from CSUN as a Jazz Performance major and performing around the world in various groups. From basic technique, to advanced technical and musical studies, his wealth of knowledge and experience will help you improve immensely. He teaches based on each individual student in order to provide you with the best and most fun learning experience. Athan is teaching my 10 year old son. So far we have only done one lesson but it was a great experience and we hope to do many more. He has a very easy to understand, clear way of instructing. He is also very upbeat, and seems to genuinely care about the progress of his students. 4 Way drum set coordination including beats & styles of rock, jazz, funk & latin. excellent teacher with an exceptional knowledge. Ariel is a great teacher. He is patient and he encouraged in a great way. I am very happy and your school should be very proud to count with such a great teacher. I am a true beginner and he gave me vocal and breathing exercises that will hopefully lead me to tune and sing. I am a teacher of English and my goal is not to perform . However I realized that singing is a very relaxing and therapeutic hobby. thanks a lot!! My 13 year old daughter has been taking singing lessons from Ariel. He is an excellent teacher, very meticulous and knowledgeable. We highly recommend him! My teaching style is very flexible & hands on. My goal is to make beautiful music and I do this by taking technical exercises and giving them musical meaning. This means I focus on the ideas of time, vocabulary & dynamic playings, but within this still teaching essential technical exercises in order to create a well-rounded musician. After each lesson I will email detailed notes, as well as any supplemental documents and/or music. it was really fun and cool. Do you want to learn how to play the drum? If yes, then you’ve come to the right place. Private drum lessons and classes with a TakeLessons Certified™ teacher accelerates progress, increases enjoyment, and improves every beginner's chances of becoming an expert player. Drums are one of the most common instruments for beginner musicians. It’s fun to play, and with practice and dedication, most students can learn to play several easy songs within 1-2 months! It shouldn’t be a surprise that students learn faster when taking private drumming lessons or classes, compared to watching video tutorials or YouTube videos. Finding a specialized teacher - whether in-home, studio, or online classes - for one-on-one drums tutoring will give you the feedback and personal attention you need to become the best drummer you can be! Private drums lessons with a certified TakeLessons teacher are customized to each and every student based on their current skill level, and goals. Beginner students get to learn the fundamentals, and practice basic beats, basic exercises, and basic techniques. From there, the difficulty increases in order to properly challenge and motivate intermediate and advanced level drummers to develop greater skills, to break through their preconceived limitations, and to ultimately get more satisfaction, meaning, and even paid opportunities from the becoming a skilled drummer. We understand advancing drummers might have professional goals, so our teachers can guide you how to increase chances of getting more and higher paying gigs. Who knows, someday, you might even become a TakeLessons drums instructor and get paid to teach other aspiring drummers like you. If you’re the type of parent who believes music can improve early childhood development, science has good news for you. A recent study suggests that drums practice can help children better and faster process music and verbal language. Hearing different pitches and tones can help one better parse spoken words. So while every parent should remain careful not to forcefully involve their little ones in music, sports, and other interests, parents can still take a gentler approach that stimulates joy and curiosity, and plant a seed for lifelong learning. Science also has good news for kids older than preschool age. Research suggests music lessons improve academic performance, as well as cognitive skills in children. 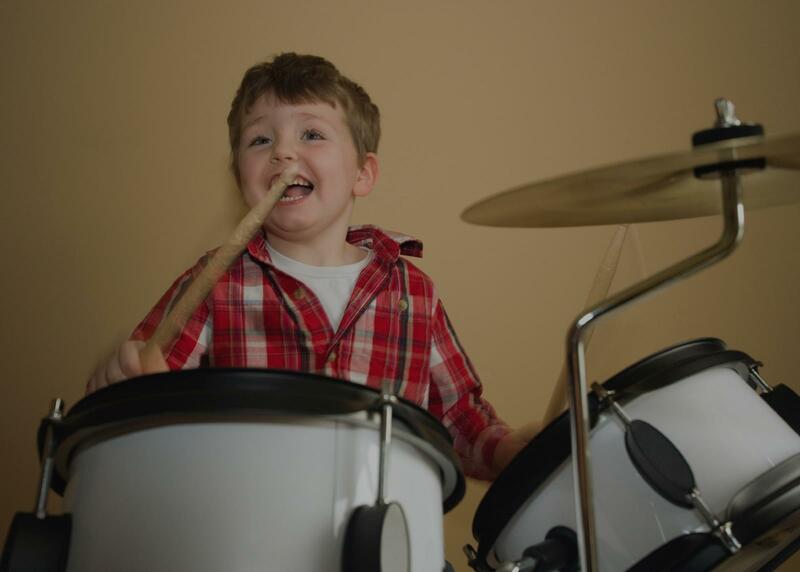 drums lessons and practice can help improve motor skills, cognitive performance, and listening skills at a young age. The last thing you want to do is force a kid into playing and practicing so much that they begin to flame out and reject something as powerful and life-changing as the drums. Some TakeLessons instructors specialize in teaching students with special needs. We believe that not every student learns the same way, and that every student, regardless of their special needs, is capable of becoming a great drums player and musician. This is why it’s important to have someone that holds you accountable for prolonging your learning and practicing, regardless of whether it’s a musical instrument, or a sport, or any other after-school matter. Someone to keep you motivated. And if you decide to make your passion a profession, someone to guide you along the way on how to find the right opportunities for paid gigs, or even a full-time career in playing the drums. Let’s be honest, private lessons aren’t the best idea for college students who are generally tight on budget, time, and commitments. However, that doesn’t mean you should stop learning and practicing. You can still work on the drums by taking classes or participating in music programs at your college. These tend to be more affordable, more social, and less stressful than trying to fit private lessons into your routine. By now, you’ve already decided whether to stick with the drums or to drop it. If you’re one of the lucky few that stuck with it, in spite of having an extremely busy schedule with work and family obligations, congratulations. Contrary to popular belief, taking the time out for routine drums practice has tremendous benefits, even for the busiest of people. We believe that drums practice as an adult is more productive than it seems because it clears your head, it builds patience, discipline and concentration skills which you can transfer over to other parts of life, and it keeps your hand-eye coordination sharp. It also keeps you committed to learning and improvement, which again, are transferable traits to professional life. As role models, parents taking active classes shows kids the importance of pursuing personal interests for life. A new study on the long-term benefits of music lessons reports that older adults who took lessons at a young age process the sounds of speech faster than those who did not, regardless of whether it was a guitar, or a saxophone, or an accordion, or any instrument for that matter. Learn about different types of drums in the percussion family of instruments, such as the tabla, the djembe, and percussion. About steel drums, snare drums, bass drums, bongo drums, side drums, talking drums, and more. Learn how to establish rhythm, rhyme, and meter with different drum beats and patterns, or how to establish drum cadence (street beat) in a marching band. Learn about playing a single drum or a set of drums, and about the sounds variations produced by hitting drums with hands or by different types of sticks. About the different pieces of a drum set, and the right price to pay for them. Learn about how drums are played are different cultures, countries, and even at church. About playing drum solo, in a band, or in a drum circle. Learn about the different genres of music you can play with drums, such as rock, metal, jazz, and pop music. Learn how to play drums without an actual drum set, about productive practice to improve, and how to develop your own style. Find exercises to improve your speed, coordination, and rhythm. Learn about proper posture, and breathing exercises to stay relaxed and in control. Our drums instructors work with students of all ages: kids, teenagers, adults, and even seniors. We guarantee a customized experience that will exceed your expectations. In fact, we are so committed to your happiness that we offer all new customers a 100% Satisfaction Guarantee on your first lesson. We have local teachers available near you and in thousands of cities across the United States, with online drums lessons as an option as well. Sign up today!